The ancient Chinese belief system regarding the five natural elements – wood, fire, earth, metal, water – contains much wisdom. 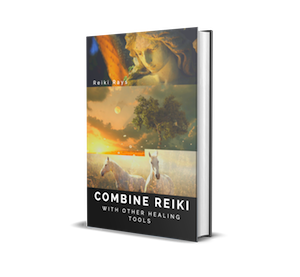 For us Reiki practitioners, who strive to understand the Universe’s energetic powers, we can attain knowledge from ancient times. Let’s examine the energies found in the fire element. Our first thoughts about fire are often about the warmth and light it brings into our lives. We can easily visualize the coziness our fireplaces provide on a cold winter’s day. Or, the pleasurable sun rays that soothe our bodies while lazing on a beach or working in a garden. We may associate luscious foods with fire, whether they are cooked on a grill or our gas stoves. The list goes on and on. Fire can also have some negative connotations. Houses and forests can be destroyed by out-of-control fires. Bombs and other destructive items developed by human beings can have devastating effects. As always, maintaining a balance in fire’s energies is the key aspect of this life-giving, or life-destroying, element. It is an element that requires careful intention, and attention. We cannot simply light a match and walk away; rather, we must be vigilant to make sure a fire is used correctly. Comparing that thought to how we treat energy and balance in our daily lives is instructive. Do we spend our energy in helpful ways? Do we go, go, go and then one day we realize we have no energy left and invite dis-ease into our lives? Are we aware of this wonderful gift of life on earth and carefully determine how we will spend our time here? How can we harvest the fire energies to bring healing into our lives? Many of us love the ritual of lighting a candle for every Reiki session we provide. Whether we are aware of it or not, we have invited the fire energies into our sessions. And, that is a good practice! These energies bring in the warmth of healing energies, surrounding our bodies and spirits with the many blessings of Divine Love. Our emotional lives connect strongly to fire energies, as these relate to joy and passion – whether it is passion for the people we love, careers, faith, or interests we have. We may feel a “burning desire” in our hearts to give Reiki to family, friends and/or clients, and this desire energizes us to offer sessions in whatever ways we feel called. The “fire in our bellies” propels us to meet our goals, whether it is to love someone, or pursue a challenging career. If we feel a lack of desire, or defeated by life’s challenges, it is time to bring fire energies into our lives. Learning about the many ways to bring these energies into our individual beings can be helpful. Spending time outdoors on a sunny day – allowing natural light into our homes – wearing, or decorating rooms, with yellow’s and orange’s – all these practices connect us to healing fire energies. Using Reiki always brings in the energies our beings need the most. Using the phrase, “for the highest good” will ignite the healing we need. Contemplating fire energies is certainly a thought-provoking endeavor, and we give gratitude for the blessings within this ancient wisdom. I appreciate your comment very much. Using a traditional oil lamp – what a beautiful idea! I have written many articles about Reiki, as I love Reiki so much. Please click on my photo on the home page to see the list. I plan to continue!